We have been to a few of the Big Fish Little Fish kids raves at Dreamland Margate, and Tilly enjoys going to them. This year Big Fish Little Fish return on Saturday 8th April and brings with it a touch of camp Bestival. Camp Bestival is an award winning Kids festival and you will find that you can indulge in some proper rock excess fantasies, the Camp Bestival Pop Stars & Rock Stars Photo Booth is also on its way to Dreamland, so you can get creative with a panoply of props and pose until your heart’s content. And that’s not all! If you Tweet, Facebook or Instagram your photo booth snaps with the hashtag #CB17ontour you could win one of three Camp Bestival 2017 family tickets up for grabs! In just a few short years, Big Fish Little Fish has become a big deal on the family arts scene. 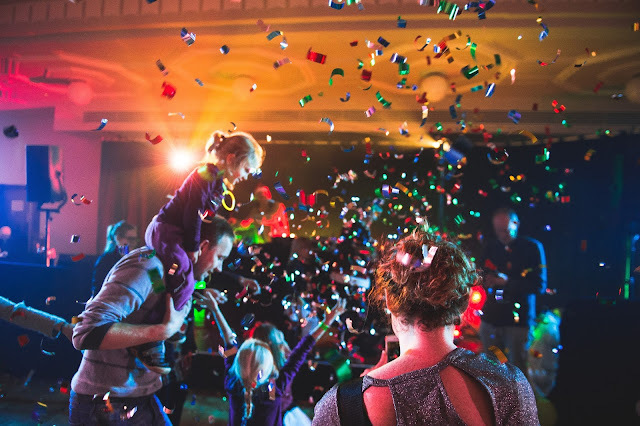 Hosting top quality raves for all the family and featuring the cream of the A-list DJ scene, there’s a myriad of fun and games for kids of all ages. Now teaming up with Camp Bestival, they’ll be bringing a series of fancy dress-fuelled tear ups with top DJs, all to be announced soon. The Big Fish Little Fish rave is on Saturday 8th April and tickets go on sale from Weds 18th January at 9am. But Dreamland members are able to get their tickets from now. Adult tickets are £9, Kids £6 and under 18 months are free. Can you think of a better way for the kids to spend a weekend of their Easter holidays?